Psalms 6:1-10 To the choirmaster: with stringed instruments; according to The Sheminith. A Psalm of David. O LORD, rebuke me not in your anger, nor discipline me in your wrath. (2) Be gracious to me, O LORD, for I am languishing; heal me, O LORD, for my bones are troubled. (3) My soul also is greatly troubled. But you, O LORD–how long? (4) Turn, O LORD, deliver my life; save me for the sake of your steadfast love. (5) For in death there is no remembrance of you; in Sheol who will give you praise? 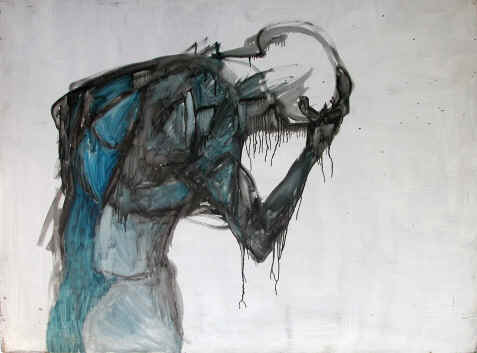 (6) I am weary with my moaning; every night I flood my bed with tears; I drench my couch with my weeping. (7) My eye wastes away because of grief; it grows weak because of all my foes. (8) Depart from me, all you workers of evil, for the LORD has heard the sound of my weeping. (9) The LORD has heard my plea; the LORD accepts my prayer. (10) All my enemies shall be ashamed and greatly troubled; they shall turn back and be put to shame in a moment. So what do we mean by ‘saved’? Insiders mean a lot of things which have massive cosmological assumptions. In talking to someone without those assumptions the message is lost. What is shared in our understanding of ‘saved’ and general human experience? : grief, conflict and ultimately death. David is straight up (and not too theologically precise in regard to how sheol might work). Whatever else may be true about the world we don’t see, the world we do see hurts more than it should. In that pain there is a sense of treasure that is worthy of being rescued from ruin. Our lives resonate with internal ‘ought-ness’. We ought to live and not die. We ought to enjoy relationships, not have people out to get us. Our souls should be driven by delight, not… languishing. So how are we saved in this sense? God reminds us that there really are two sides. Those who end up yielding in hope to the Creator as Lord, and those who, in defying God as Creator and Lord, are actually allied to the service of evil. God, save me from being evil! Let me cry out to you in hope, faith and love.